With the major structural elements in place at the Lake of Bays project in Ontario, Canada, it was time to finish out the home’s shell — a process that relied heavily on that all-important element of timing. 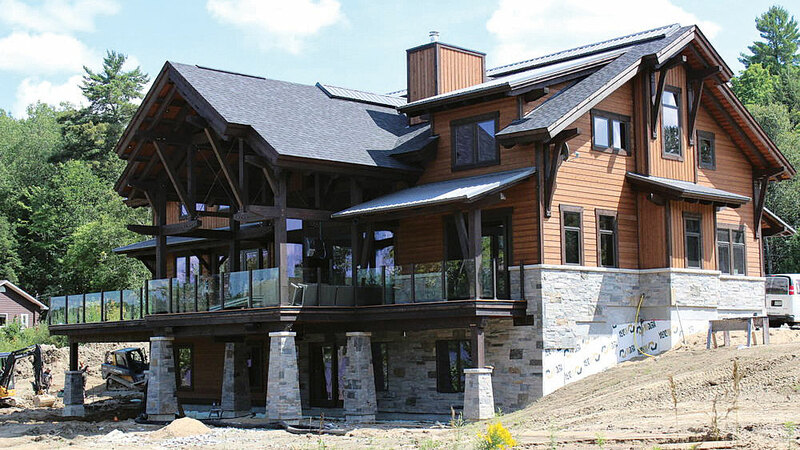 To achieve the mountain style they were going for, the homeowners chose a native stone for the home’s skirting and exterior columns before sending a sample to Jeff and his design team. 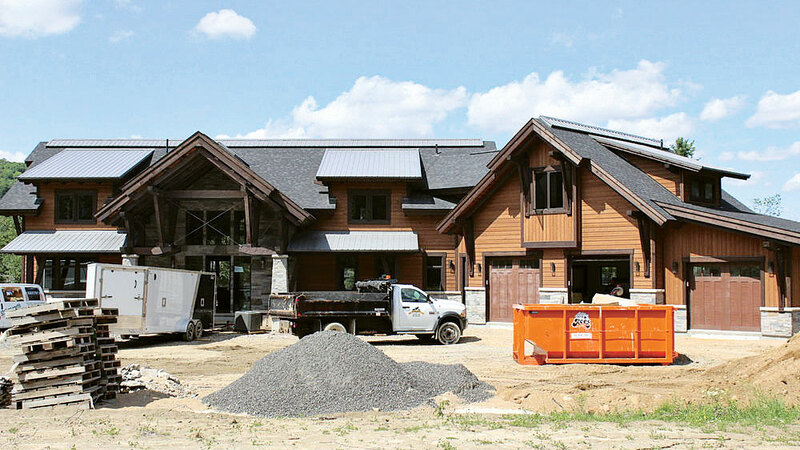 To match the stone, Canadian Timberframes sent the owners a box of samples of siding, trim and cedar shakes to choose from. “We send a wide variety of choices so the homeowners can take a close look, mix and match and take their time making decisions. By the time we do the architectural sign up, they’re not just making choices from pictures,” Jeff says. 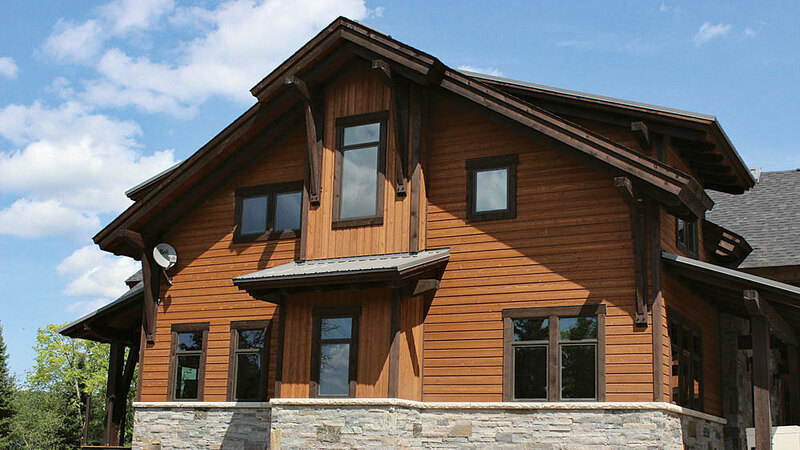 The homeowners ultimately went with a pre-stained, kiln-dried western red cedar siding — a rustic-yet-refined choice that complemented the gray tones in the stone. They also opted for a mix of both horizontal and vertical siding. 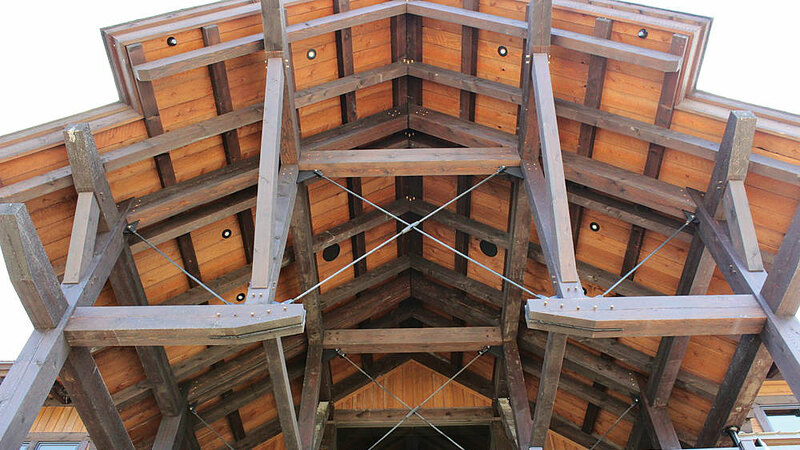 For the exterior porch ceilings and timber work, everything was factory finished and clear-coated ahead of time, making for a very quick installation. To accommodate the minor marks and blemishes that inevitably occur during construction, extra stain and clear-coat was shipped to the job site so the construction crew could touch up any imperfections, dust or dirt before the house was complete.